﻿ Thanh Nhan Motel, Da Nang | FROM $6 - SAVE ON AGODA! "The hotel is kind of "luxury" with very reasonable price." 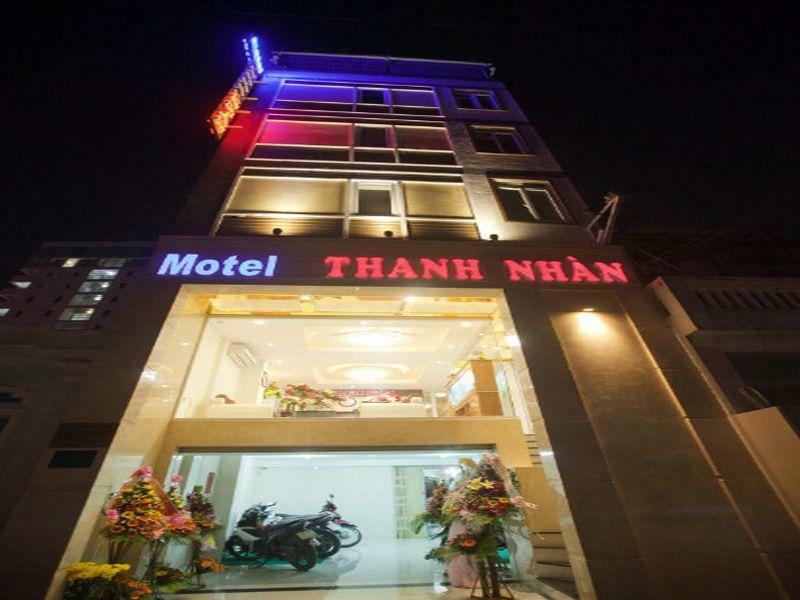 Have a question for Thanh Nhan Motel? "The house keeping service is quite good, they cleaned the floor in my room and provided us new towels every day." 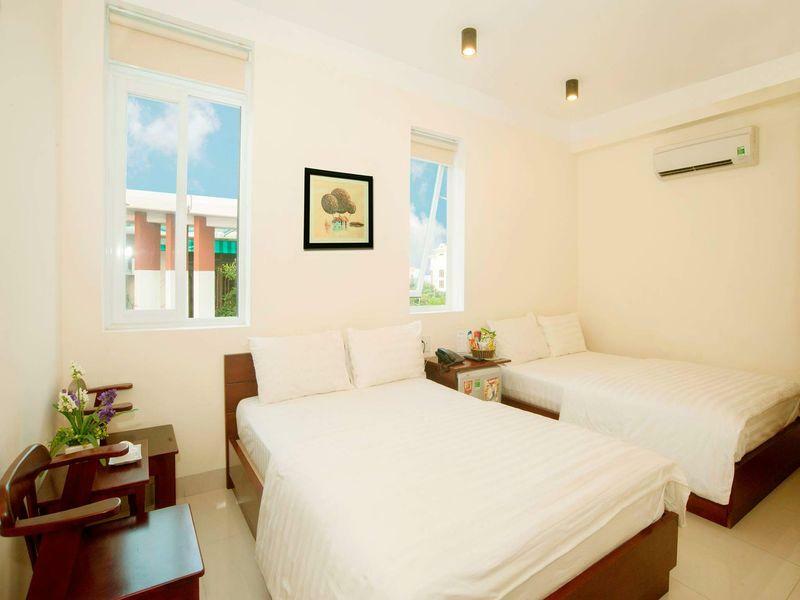 Well-placed in the sightseeing, family fun, beaches area of Da Nang city, Thanh Nhan Motel provides a most conducive spot for you to take a break from your busy days. The hotel is not too far from the city center: just 4.6 km away, and it normally takes about 12 minutes to reach the airport. With its convenient location, the hotel offers easy access to the city's must-see destinations. Thanh Nhan Motel offers impeccable service and all the essential amenities to invigorate travelers. Top features of the hotel include free Wi-Fi in all rooms, Wi-Fi in public areas, room service, family room, laundry service. Step into one of 14 inviting rooms and escape the stresses of the day with a wide range of amenities such as television LCD/plasma screen, mirror, towels, umbrella, internet access – wireless which can be found in some rooms. Besides, the hotel's host of recreational offerings ensures you have plenty to do during your stay. 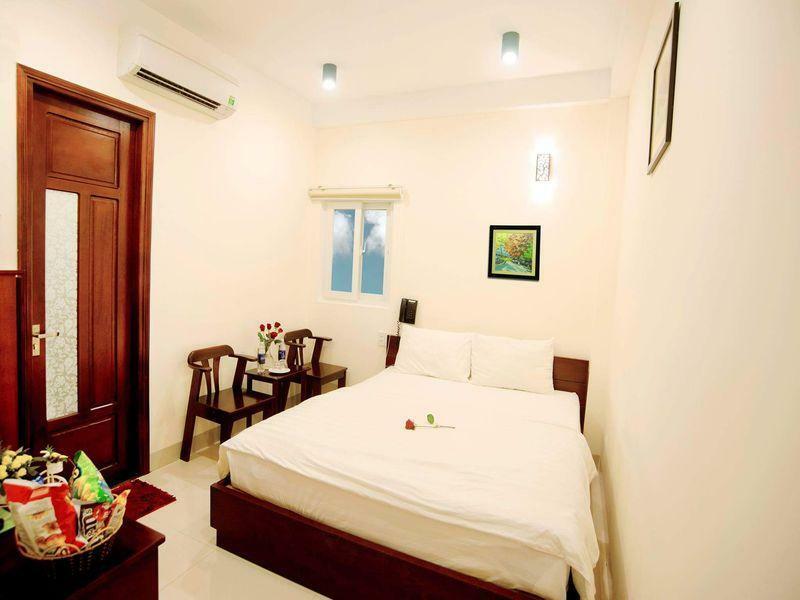 Thanh Nhan Motel is an ideal place of stay for travelers seeking charm, comfort and convenience in Da Nang. "Good enough at reasonable price"
There were ants in our room and we had to move to three rooms to avoid them! Staff asleep behind reception- no apology for room changes. Was itchy and bitten at night as ants were in bed. Room and bedding was dirty and hair was still in the comb provided from the previous occupant. Much much better options elsewhere. The hotel is kind of "luxury" with very reasonable price. The reception, lobby, rooms, parking lot... are clean and tidy. The house keeping service is quite good, they cleaned the floor in my room and provided us new towels every day. Generally, it's exceeded my expectations. Definitely come back next time. The place is clean, near the beach, the only thing I dislike is, theres an empty cup in my room but no water boiler, whats the point of putting the cup when you did not provide water boiler for your guest to make a hot drinks? And one more thing, the staff gave me some face when I ask to provide me a hot water for me to make my hot drink. I booked room here for 2 nights. Pros: The room is quite clean, and we could check in late (our flight landed at around 11pm) Cons: There no free water bottle I checked out at 8:00 am to travel to Lang Co beach, but unfortunately it’s rain heavily and we had to come back to hostel at 11:00 am to use bathroom (as we’re all wet) then went to airport that afternoon. And they charged us another one night. The motobike rental service here is quite strickly. I rent a moto at 4:30 pm to the next day afternoon, and they charged 2 days. Staffs are very nice. Rooms are clean. Walk 5 mins to the beach. Worth it! 100m from main tourist beach (Like Surfer's Paradise - AUSTRALIA), 30m from tourist main road, Friendly & Accommodating staff. Good for budget traveller, and near to the beach. However the staff cannot speaks English. My friend and I arrived here late at night after being collected from the airport by transfer arranged through the hotel via email. Transfer was fine, they were on time waiting for us and its a short drive to the airport. We paid $17USD but I would recommend others to use a metered taxi as it will be cheaper and easy enough. Family who run the motel were friendly enough although we were told we were the only people staying on the night and were assigned a room on the top floor which was annoying as we had huge bags to drag up. Room was tiny, dark and stunk of stale smoke. Wet room bathroom was dirty and the previous guests used shampoo and conditioner sachets were left there. We complained of the smell of smoke but the staff said they could not smell it. The bedding was filthy and upon I forming staff theu simply gave us more bedding for us to re make the bed with which was dirtier than the first set. Once we realised the family owners were sleeping in a garage on the floor adjacent to the motel, we felt we were unable to complain again as we had paid so little. It served us right for taking one of the cheapest options available in the area. Thankfully we were only there for one night as a stop over. I would not recommend this motel to anyone. There is however a hotel next door which I believe are owned by the same people and is supposedly the premium option!? But you should sleep with 100,000 of ants.